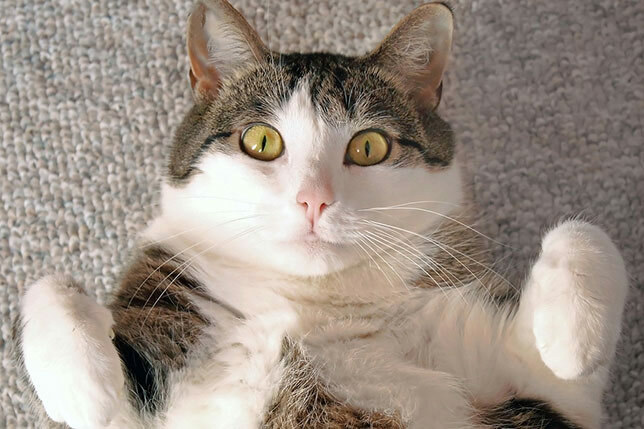 Extra weight adds extra stress to your cat’s joints, and that can lead to arthritis in cats. Our vets are happy to discuss diet and exercise plans for your kitty, so your cat can maintain a healthy weight. If you want to help your cat be more active, it’s important to build up your cat’s exercise endurance over time — just like you would with human exercise. 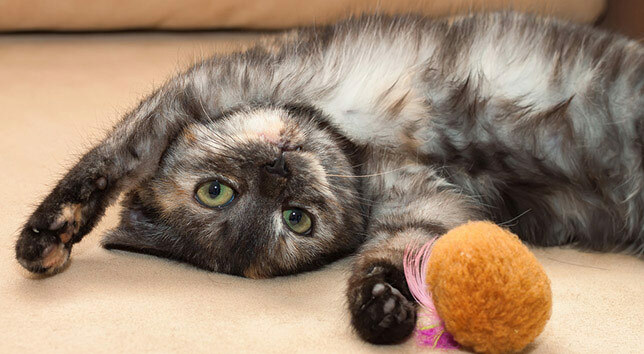 Start out slow and gradually increase your cat’s play sessions. The trick is to find things your cat loves to do. For example, if your cat likes to chase a laser pointer or a chase a string, start out for one minute of play per day. Then, gradually increase “play time” up to four or five minutes several times per day. If your cat seems wiped out the next day and is reluctant to play, wait until your cat is interested in play again. Then, build up at a slower pace. If your cat is overweight, there also are diets that can help your kitty get down to a manageable weight. 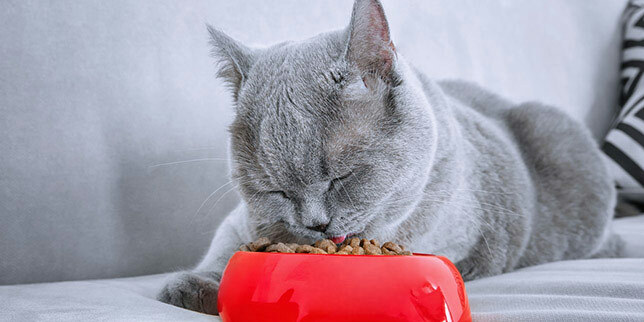 You can find options ranging from reduced-fat foods (available over the counter), to prescription foods for cats in need of greater weight loss. At your next visit, ask our veterinarians about your cat’s options. We may have a cat food you want to try. Laser therapy can help with inflammatory conditions like arthritis in cats. With laser therapy, our veterinarians use light treatment to reduce inflammation and speed up healing in the joint areas that were inflamed. The great news is that it’s non-invasive. It’s painless for your cat. And there’s no medication involved. Our vets also can stay on top of any signs of cat arthritis and help prevent your cat from being in a lot of pain. While anti-inflammatory medications haven’t been studied as much in cats as they have been in people or dogs, new medications are becoming available. Depending on your cat’s needs, we may want to look into them. You also can find a variety of joint supplement products on the market. Many supplements are available in a treat form if your cat does well with treats. They’re also available in capsules and in liquid forms to put on top of food. If you’re looking for ways to be proactive with your aging cat, joint supplements may be an option to consider. Our cat veterinarians are happy to discuss what makes sense for your cat at your next visit. Keep your cat happy and pain-free!